Did you pick out the perfect pellet grill, only to be disappointed in the results firing it up the first few times? It is usually after a bit of experimenting with pellet grilling that users realize that the type of pellets is more important than the type of grill! Here are a few tips on how to pick the best pellets for the best results. This is a long standing debate, but the hardwood wins! Cookinpellets’ are 100% hardwoods, and for good reason. Softwood can provide more heat, but hardwood provides more stable burning rates and therefore more consistent temperatures. Hardwood is also known to provide a purer smoke flavor, which is the whole point of smoking your food, after all! Our brand was created after we couldn’t find 100% hardwood pellets, stable burn temperature, and great, smooth smoke flavor in a pellet from any other brand. Many pellet brands include fillers to bring down the cost of their product. 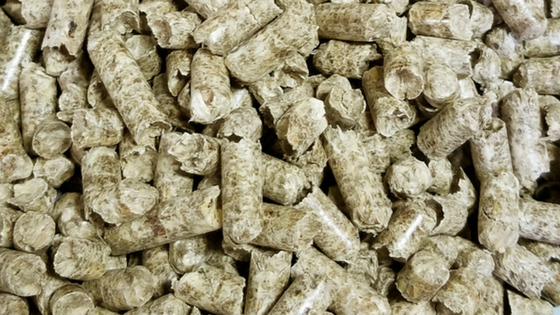 By adding oak or alder, the pellet manufacturer can save money, but this comes at a huge cost to flavor. Using 100% flavored hardwood guarantees a stronger smoke flavor in the type of wood you’re looking for. Beware when you buy, especially if the price seems to good to be true! Some pellet mixes contain up to 80% of fillers, so make sure you do your research. We never use wood fillers or flavor oil in any of our products, we want that smoke flavor to come from the wood you choose! Certain types of woods lend specific types of flavors, which is why it’s a good idea to have more than one type of pellet on hand for home grilling use. Here is a simple break down of the woods that make the best pellets for your pellet grill. 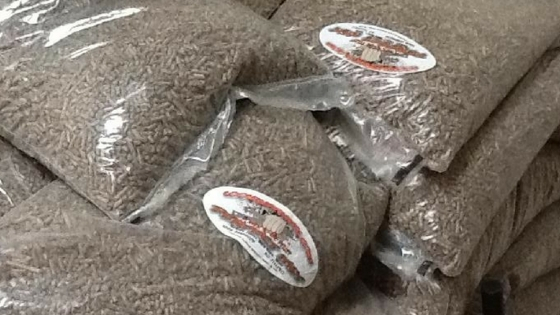 Hickory pellets are the most widely used in pellet grilling. You can count on hickory to provide that classic BBQ flavor with a moderate amount of smoke! This is a strong flavor that stands up well to meats like beef, but can certainly be used with any type of meat, including poultry. 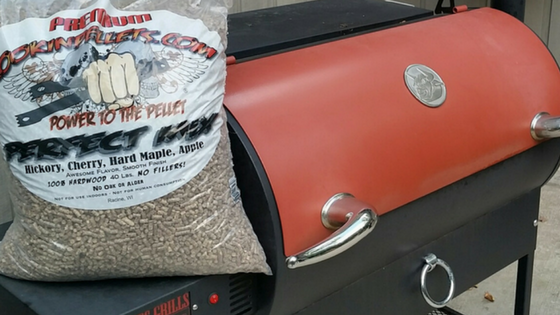 If you’re looking for that classic smoke flavor, our Premium 100% Hickory Pellets are a great pellet to always have around. Another very commonly used type of wood used in pellet grills is apple. For those that find the flavor of hickory alone overwhelming, a mix that includes apple can offer a happy medium. Apple provides a lighter, sweeter flavor, not surprisingly with some fruity notes. Apple pellets are a wonder complement to poultry, pork and vegetables. Check out our Apple Mash Pellets. 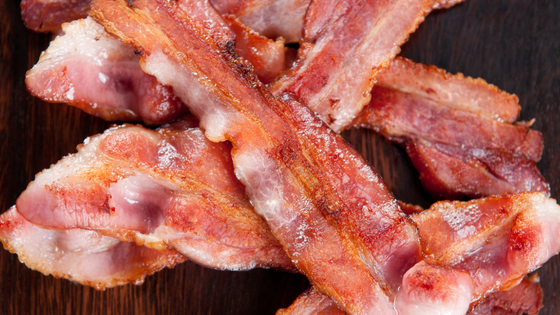 Other commonly used woods that provide great flavor are cherry and maple. Cherry also provides a bold smoke flavor, while maple is another lighter, slightly sweet choice. Stay tuned for some new flavors of Cookinpellets coming soon! Often blends are the best solution! Finding the right hardwood blend can offer you consistent burn rates and temperatures you are looking for, and the perfect combination of flavors. Our Premium Perfect Mix is made exclusively of our Premium Hickory, Cherry, Hard Maple, and Apple. This formulation is a combination of the top hardwoods but not as heavy as hickory and not as light as maple. It is great on short cooks and provides smooth flavor on long smokes. If you are looking for pellets that will offer a smooth, smoke flavor from everything from poultry to side dishes to beef and even desserts, a blend of top hardwoods such as Perfect Mix should fit the bill every time! As you search for the right pellets, keep these points in mind: You want 100% hardwood, no fillers, and top quality woods to give your culinary creations top quality flavor! 12 years ago we bought a pellet grill and while using the grill with the manufacturers pellets we found that the overall experience was a bit less then expected. I decided to build a small mill to experiment with different woods and wood combinations. For over 4 years we have been a top selling brand, Highest Rated and #1 Best Seller on Amazon.com, through our dealers across the US, Canada and starting to get there in Europe. Those ratings and sales are all from people like you!